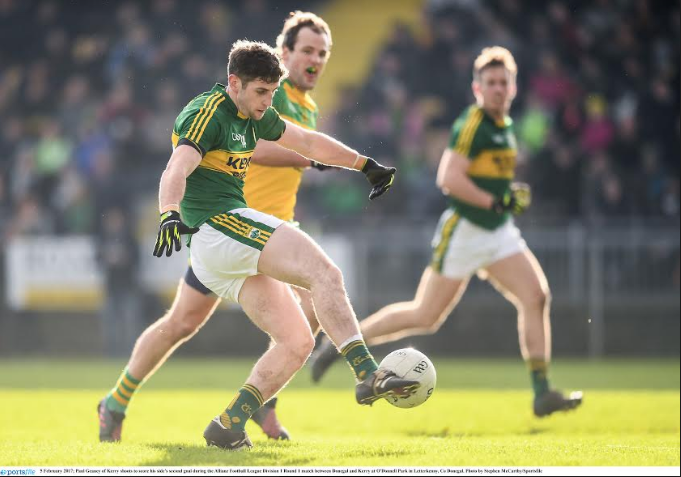 On Sunday, we welcome Donegal to Killarney for Round 1 of the Allianz Football League. The game throws in at 2pm and all gates (Dalton’s Avenue and Lewis Road) will be open at 12 noon. Tickets are priced at €15 for adults and U16s enter free of charge. If you purchase your tickets before midnight Saturday at any SuperValu, Centra or in the Kerry GAA store, you can avail of a 20% discount meaning it will cost you €12. Early purchase is strongly encouraged particularly to avoid long queues at the gate. Please follow the direction of the stewards particularly in relation to parking. St Finan’s entrance is an emergency access and parking is strictly prohibited. Both the Kerry Senior Football and Hurling Teams will be announced on Friday at 9pm on the Kerry GAA website.